Edward Hardwicke (7 august 1932 - 16 may 2011) is a British actor who played Dr. Watson in the Granada TV series Sherlock Holmes with Jeremy Brett as Sherlock Holmes, from 1986 to 1994. On stage, he took over the role again still with Jeremy Brett, in the play The Secret of Sherlock Holmes in 1989. But in 1968, Edward Hardwicke also played Davenport in episode The Greek Interpreter in the TV series Sherlock Holmes with Peter Cushing as Sherlock Holmes and Nigel Stock as Dr. Watson. In 1997, he played the role of Sir Arthur Conan Doyle in the TV movie Photographing Fairies with Ben Kingsley and Clive Merrison. Edward is the son of actor Cedric Hardwicke who played Sherlock Holmes on the radio in The Adventure of the Speckled Band in 1945. Edward Hardwicke had a country house in France, in Normandy. 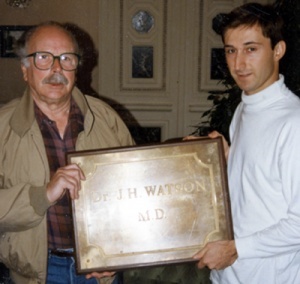 He offered to the Sherlock Holmes Society of France the Dr. Watson's copper plaque (the one attached to the front of his house in an episode of the series), a gift from the Granada at the end of the series shooting. Edward Hardwicke was born on 7 august 1932 in London. His mother, Helena Pickard, had some successes on the West End stages and his father, Sir Cedric Hardwicke, one of the greatest and most famous actors of the early days of speaking movies, which was knighted by George V at the age of forty-one. Cedric Hardwicke had no doubt that his son would follow in his footsteps, despite the warning written by the writer George Bernard Shaw in his "birth book": "Do not go on stage, Edward. You would never be anything but your father's son. And anyway, it's a precarious job. In 1957, Edward Hardwicke married the actress Anne Iddon and had two daughters, Kate and Emma. The latter played the role of Dora, Mrs. Maberley's maid, in The Three Gables (1994). Divorced, Hardwicke married Prim Cotton in 1995, whose daughter, Claire, is also an actress. After completing his military service in the Royal Air Force, Edward Hardwicke entered the Royal Academy of Dramatic Art and then played at the Bristol Old Vic, Oxford Playhouse and Nottingham Playhouse. In 1964, he joined the National Theatre directed by Laurence Olivier, where he worked for seven years. At this time, he played minor roles, such as that of Montano, Governor of Cyprus, valiant and loyal servant of the Duke of Venice in Othello. And it was obviously Laurence Olivier (Othello), Maggie Smith (Desdemona), Frank Finley (Iago) and Derek Jacobi (Cassio) who were capturing the public's and critics' attention. If he did not win fame, Edward Hardwicke perfected his art under the direction of a great master who regularly trained him, for example, to take on a role at last minute, and invited him to carefully analyse his acting. "My God, how lucky we were," he said of his colleagues at the National Theatre and himself. He had the opportunity to perform a varied and high quality repertoire. He played among others Arthur Miller (The Crucible), Pirandello (The Rule of the Game), Ibsen (Solness, the Master Builder), Congreve (The Way of the World), Dostoïowski (The Idiot) and George Bernard Shaw (Mrs Warren's Profession). Critics noticed him in Feydeau's A Flea in her Ear, directed by Jacques Charon, where he played Camille Chandebise : Geraldine McEwans and Edward Hardwicke were particularly brilliant (Michael Coveney,What's on stage). He plays with several of Laurence Olivier's most notable disciples, such as Robert Stephens, Michael Gambon and Derek Jacobi, with whom he shares the poster for Peter Schaffner's The Royal Hunt of the Sun, for example, and he is related to Albert Finney, Anthony Hopkins and Peter O'Toole. Hardwicke also began to appear on television, among others in The Greek Interpreter (1968), where he played the role of Davenport alongside Peter Cushing and Nigel Stock and in various series and TV films such as Son of Man, where he played Judas the Iscariot. A very different role from that of the loyal Dr. Watson! While Edward Hardwicke's beginnings were discreet, they allowed him to acquire, like Jeremy Brett and David Burke, a very solid background and to accumulate a considerable amount of varied experience. The remarkable series Colditz (video), broadcast between 1972 and 1974, recounts the escape attempts of Allied officers imprisoned by the Nazis in the citadel of Colditz, from which fleeing was considered impossible. These heroic adventures, evoked without a frantic search for the spectacular or Manichean, conquered the public. In this very successful series, featuring stars such as Robert Wagner and David McCallum, Hardwicke was given the crucial and highly rewarding role of Pat Grant, a character inspired by the war hero Pat Reid, whose memoirs served as the basis for the script and who was hired as a consultant. In the first episode, Pat Grant and his friends fled the Laufen prison camp, but were rescued and sent to Colditz. There, they will escape again and succeed in reaching Switzerland (episode 15). This immensely popular series (also featuring Johanna David, the future Susan Cushing of The Cardboard Box and Anthony Valentine, Baron Gruner in The Illustrious Client is, here, a sadistic Luftwaffe officer) was unanimously praised for its realism, the quality of its actors' performance and its thorough character analysis. It will give a decisive boost to Edward Hardwicke's career, to whom British television will now offer a wide range of roles, including in major series. Among Edward Hardwicke's many appearances, which made him a well-known actor in the British audience long before his participation in the TV series Sherlock Holmes, we can of course mention roles from the classical repertoire. On stage in 1976, he was Sir Robert Chiltern in Oscar Wilde's sparkling play, An Ideal Husband. 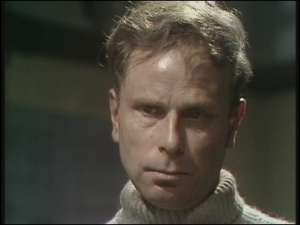 On television, he played the role of farmer John Lodge in The Withered Arm (1973), adapted from a short story by Thomas Hardy, the Prince of Wales in the series The Pallisers (1974), based on Anthony Trollope's short stories and set in the Victorian era, and Marcus in Titus Andronicus, broadcast by the BBC in 1985 (video). About his performance in this wildly violent Shakespeare play, Jane Howell (Lear media) writes: He manages to achieve the excessiveness that characterizes most other actors in the show, but he also has moments of wonderful subtlety and maintains stoic and dignified respectability. His performance may well be the best of the lot. 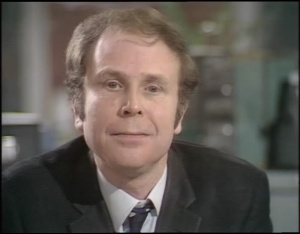 But Hardwicke has also played in very popular entertainment series, such as the sitcom My Old Man in 1975 (role of Arthur, son-in-law of the old and grumpy Sam Corbett), or Crown Court, a judicial series where the jury is made up of spectators and which helped to launch many actors between 1973 and 1975. The future Watson has been seen in contemporary detective stories such as Thriller, Series 3 episode 6, The Next Scream You Hear (1976, role of Gifford), in successful farces, such as Some Mothers Do 'Ave 'Em, where he plays, during the last episode (1978), a comically outdated Australian immigration official (video) as well as in the excellent fantasy series Supernatural (1977), recently re-released by the British Film Institute (video, episode : The Werewolf Reunion as Baron Joseph Von Haller). 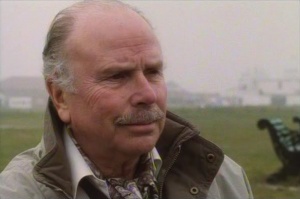 Edward Hardwicke appeared in an award-winning television film, The Bunker (1981), alongside Anthony Hopkins (Hitler), Michael Lonsdale (Bormann) and Piper Laurie (Frau Goebbels). He embodies with great naturalness and calm authority Dieter Stahl, head of the ammunition department, whom the Minister of Armament, Albert Speer, is trying to convince to participate in his plan to assassinate the Führer. It is therefore an experienced actor well known to the English television audience that David Burke will present as successor to Michael Cox. Hardwicke was very familiar with Arthur Conan Doyle's work. He loved Granada's adaptation : The Adventures of Sherlock Holmes, which he considered to be of very high quality. When David Burke left the series and suggested that he replace him, the idea seduced him, but he was afraid that he would not be able to rise to the level of his predecessor. Later, he told Peter Haining: "You understand, I had seen David play Watson and my first reaction was: My God, is that what I'm going to have to succeed?" Contrary to his fears, everything went well, because Jeremy Brett, he said, helped him wonderfully to take on his new role. The transition from The Adventures to The Return was so insensitive, Hardwicke tells, that one day a make-up artist called her David. Far from taking offence, the actor was delighted, seeing in it the proof that the transition between the two Watsons was practically invisible. Some viewers, moreover, did not even notice the change in actors that had taken place between The Final Problem and The Empty House. 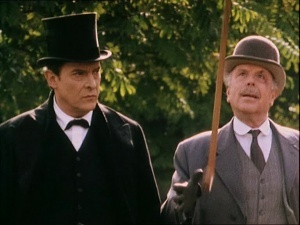 Jeremy Brett (Holmes) and Edward Hardwicke (Watson) in The Three Gables (1994). Edward Hardwicke and Jeremy Brett had both worked for the National Theatre but, belonging to two different groups, they had never had the opportunity to play together. Yet their relationship was as immediate as deep and solid. Indeed, Hardwicke consistently supported Brett throughout his health problems and never missed an opportunity to honour his memory after his death. They admired each other as actors. Brett considered Hardwicke a brilliant actor and Hardwicke was fascinated by the brilliance with which Brett led the team as well as his research spirit and boldness. As an actor himself, he knew how to understand his friend's most subtle discoveries, explaining for example that the theatricality of his acting was intended to restore that of the actors of the Victorian era, where there was no microphone or satisfactory lighting. But the two partners also appreciated each other as men. For Brett, Hardwicke was a perfect gentleman and a being of rare sensitivity, while for Hardwicke, Brett was a bold and stimulating non-conformist whose flamboyant conduct he admired. In reality, they were both similar in their passion for the job and their sense of humour, and perfectly complementary in their characters. According to Peter Haining evoking a dinner with the two actors : They seemed as much Holmes and Watson in life as they did on the screen. And in fact, in their case, reality meets fiction and makes it extraordinarily convincing and touching. Their relationship of trust and the alchemy that takes place between them reflect on their game. For example in the scene of The Six Napoleons where Holmes and Watson, surprising Lestrade surreptitiously busy consulting a file belonging to Holmes, address amused and complicit smiles then, by mutual agreement, pretend not to have noticed anything before the Inspector. 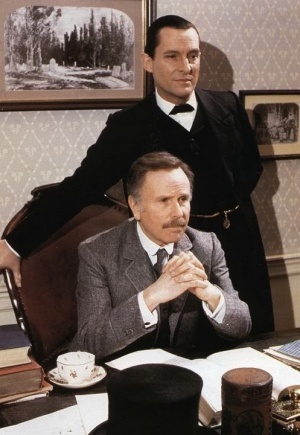 Edward Hardwicke (Watson) and Jeremy Brett (Holmes). 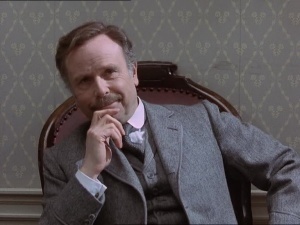 Edward Hardwicke played Dr. Watson during 8 years : on TV in The Return of Sherlock Holmes (1986-1988), The Sign of Four (1987), The Hound of the Baskervilles (1988), The Case-Book of Sherlock Holmes (1991), The Master Blackmailer, The Last Vampyre, The Eligible Bachelor (1992-1993) et The Memoirs of Sherlock Holmes (1994), and on stage from 1988 to 1989, in The Secret of Sherlock Holmes by Jeremy Paul. 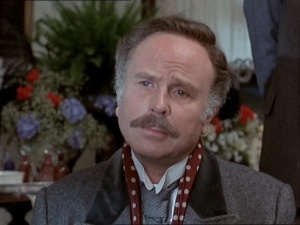 His television performance won him warm and unanimous praise: Edward Hardwicke is a perfect Watson, wrote Dame Jean Conan Doyle to Michael Cox in 1991. And he was a perfect Watson indeed: intelligent, efficient, solid, calm, human, considerate, understanding but able to defend his point of view firmly. In short, the perfect counterpoint and ideal companion for Holmes. Some critics found that he appeared older and more serious than his predecessor and said that he was, in fact, the man that Watson could have become after three bleak years of mourning. But Edward Hardwicke, not having anything like a serious guy and unwilling to be mistaken for one, took care to point out that, during the shootings, the working atmosphere was joyful and that wherever Jeremy was, even sick, good humour, cordiality and laughter were present. Above all, he pointed out that two men associated in a strenuous job, like Holmes and Watson, need to laugh a lot together and that he had tried to make them see it in the films. And in fact, his Watson, if he is thoughtful, correct and restrained, is often also very funny, for example in the scene of |The Empty House where, wearing a fez, he enjoys exposing Moran's crime motives to Holmes, happy and relaxed. Like Burke, Hardwicke felt he had little to say and do and "disappeared in his costume", but he supported it with less impatience. Moreover, as Brett's forces declined, a fraction of Holmes' enormous text and especially a large part of his physical work was transferred to Watson. Gradually, the Doctor's importance increased in the episodes. But at no time was Edward Hardwicke's Watson perceived as a negligible quantity, quite the contrary. "Jeremy Brett", writes Simon Callow, "with his regular features that made a broken nose striking and his melodious voice that made a slight speech problem endearing, presented a ravaged and romantic Holmes whose relationship to Edward Hardwicke's obviously reliable Watson was that of a castaway clinging to a raft." The Secret of Sherlock Holmes, written by Jeremy Paul at the request of Jeremy Brett, was performed for one year at the Wyndham's Theatre (London) and then on tour for an additional eleven weeks. The fan audience of the series was enchanted by the show. Brett flourished on stage like a genius freed from his bottle (Michael Cox). As for the critics, they were not very enthusiastic about the play, the plot had no enigma to solve, but they found the performance of the two actors remarkable. Thus, Peter Kemp (The Independent) wrote: "The only solid pleasure in this cramped show — just over an hour — is the acting. Brett successfully transfers his pale and neurasthenic Holmes from the screen to the stage (...)." Edward Hardwicke's incarnation of Watson seems so perfectly authentic that it gives the impression that even Holmes' falconey gaze could not detect anything false in it. 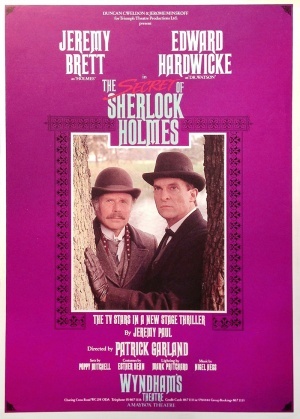 If The Secret of Sherlock Holmes brilliantly confirmed Edward Hardwicke's acting skills, he equally irrefutably proved the quality of his friendship with Jeremy Brett. Indeed, as the latter's bipolar disorder worsened, he began to introduce Shakespearean digressions into the room that had no use for it and to play as if he was constantly under the influence of cocaine. Hardwicke warned him about these dangerous abuses, and Brett reacted very badly: he thought his partner and friend rejected him and no longer wanted to play with him. Far from losing patience, Hardwicke wrote him a twenty-page letter of explanation that took him all night but cleared up the misunderstanding. Later he said, without the slightest shadow of resentment: I loved Jeremy very much and I owe him a lot. He persuaded me to do the play and it changed my life. I was able to buy my house in France with my earnings. I called the place Wyndham's. I had a terrible desire for him to come and see us here, but unfortunately, he never could. He would have loved it, if I had managed to get him to come. Less overwhelmed by his role than Brett and especially in much better condition, Hardwicke had continued to play outside the series Sherlock Holmes. In 1992, for example, he played Kinloch in an episode of the TV series Lovejoy and in 1993, Warnie, brother of Clive Staples Lewis, academic and author of The Chronicles of Narnia, in Richard Attenborough's film,Shadowlands (video). The series Sherlock Holmes closed, Brett having been forced by his health to break his contract, Edward Hardwicke continued his career. We would like his remarkable interpretation of Watson to have earned him great roles later on, but he played characters of secondary importance, such as Henry FitzAlan, Earl of Arundel, in Elizabeth by Shekar Kapur (1998), Mr. Wickfield in the television adaptation of David Copperfield (2000) or Mr. Wood in The Gathering Storm (2002), where two other Laurence Olivier disciples, Albert Finney and Derek Jacobi, play Winston Churchill and Lord Baldwin respectively. Perhaps because of his calm and debonair style, or because Watson's character stuck to him, it seems that he was confined to the role of a sensible, honest and kind man, who corresponded to his personality. But perhaps he would have liked to be sometimes, on screen, a formidable, fascinating and unforgettable scoundrel like the infamous Richard III. However, the movie Photographing Fairies (video), based on Steve Szilagyi's novel, allowed him to play the flattering role of the Arthur Conan Doyle, and Roman Polanski's adaptation of Oliver Twist offered him the if not the main role, at least important, of the good Mr. Brownlow, Oliver's benefactor. Of course, in Shadowlands (1993) or Photographing Fairies (1997), it is the protagonists of the tragic and heartbreaking love story that monopolized attention and in Richard III in 1995 (video), it is to the Machiavellian, cynical, cruel and perverse king played by Ian McKellen that all eyes converge (note the presence of Robert Downey Jr., who played the role of Rivers). But if Edward Hardwicke was not in the spotlight, his impeccable performances were nothing short of praise. 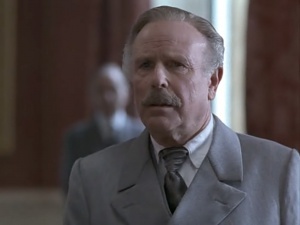 Joan Ellis wrote about his interpretation of Warnie in Shadowlands: "If Anthony Hopkins' courageous vulnerability dominates the screen, Edward Harwicke is his equal in the role of Lewis' brother, Warnie. Totally reserved by nature and education, his subtle and deeply moving interpretation portrays a man who loves his brother without judgment." and Rita Kempley of the Washington Post talked about "Edward Hardwicke's beautiful interpretation." 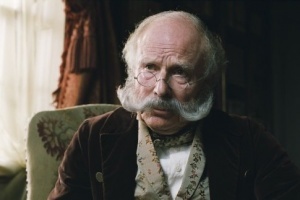 The role of Sir Arthur Conan Doyle (Photographing Fairies, 1997) gave Hardwicke very positive reviews: "Edward Hardwicke is Sir Arthur Conan Doyle" (Britmovie.co.uk), and about his role of Mr. Brownlow's (Oliver Twist, 2006): "Edward Hardwicke is perfectly credible in the role of Oliver's protector, the paternal Mr. Brownlow" (New-York Sun). If the former Dr. Watson did not become a first-rate star and even less a "sacred monster", he was respected and appreciated by all. In addition, the films and series in which Hardwicke participated towards the end of his career were often of high quality. "Shadowlands", where he plays alongside his friend Anthony Hopkins, has been very well received by the public and critics. Photographing Fairies (also featuring Ben Kingsley) is not only a beautiful and tragic love story, but an analysis of the very human and touching motives that may have led Conan Doyle as well as Charles, the young photographer whose wife died in a mountain accident on their honeymoon, to believe in the existence of fairies and a supernatural world where to find loved ones who have disappeared. 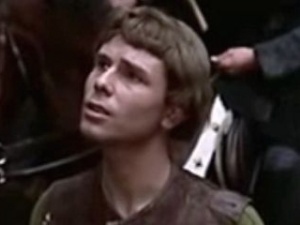 Richard III's filmed version (1995) based on Richard Eyre's theatrical version for the National Theatre, where Shakespeare's text is preserved but the action, set in the 1930s, symbolizes Hitler's rise, has received excellent reviews. In addition, Hardwicke was in excellent company, with "Richard III" being played by Ian McKellen, the Duchess of York by Maggie Smith and the Archbishop by... Roger Hammond (Jabez Wilson in The Red-Headed League). In the adaptation of the classic Oliver Twist, Edward Hardwicke was able to tour under the direction of Roman Polanski and once again alongside Ben Kingsley (Fagin). Far from being exclusively dedicated to classical works, he played in 2010 in an episode of a successful, innovative and award-winning series, Shameless (2004-2013, video), which paints without blushing the life of a miserable, marginalized and totally amoral family in Manchester. Hardwicke plays Reggie, a widower, sick and lonely veteran of the Second World War, who befriends a boy neglected by his family, Liam. The child's family wrongly suspects Reggie of pedophilia, but the veteran dies before it can take it out on him. A death which, prefiguring that of the actor the following year, can only tighten the heart. Edward Hardwicke's career, after his brilliant and fully deserved success in the series Sherlock Holmes, certainly did not bring him to the pinnacle of fame and he obtained neither the roles nor the fame of his contemporaries Albert Finney, Ben Kingsley or Anthony Hopkins. But Hardwicke has been and remains unanimously recognized as perfectly talented as an actor. And, which is neither less meritorious nor less admirable, as a man of rare modesty, delicacy and kindness. Credits : Monique Claisse (texts), Sarah Fava (photos).